I am a student of 12th appearing this year i.e.2015 and my date of birth is 04 January,1997. 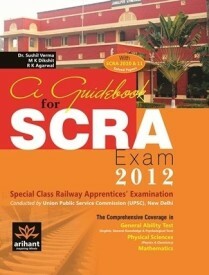 Can I appear this year SCRA exam which to be held on this year? CBSE improvement exam candidates appearing in 2015 can give SCRA 2015 exam? How many times and when SCRA is going to be held in 2015? Can I appear for SCRA exam after passing 11th? Details regarding SCRA exam? Date of SCRA exam? How to attend SCRA? What is the date of the exam? When will be the SCRA Exam in the upcoming year? Best book for SCRA exam? How to prepare in order to succeed? Age criteria for SCRA Exam? Best books to prepare for SCRA Exam? 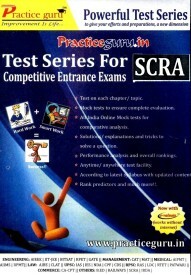 What kind of preparation is required for SCRA Exam? When the form for UP TET 2015 will be out? Eligibility to appear in UP TET 2015? Re: Can I appear in SCRA 2015 exam? Yes, you are eligible to appear in SCRA 2015 (Special Class Railway Apprentice's Examination 2015). The candidates must have attained the minimum age of 17 years and must not exceed 21 years as on 01st August of 2015. The detailed age criteria, required and more details are provided below. As far as your Date Of Birth (04/01/1997) is concerned, you have already attained the age of 17 years by (01/08/2014) and presently 18th year is running. Since your present age (18th year running) is in the age limit of 17 to 21 years, I can say that you are absolutely eligible to appear in SCRA 2015 Examination. A candidate must have attained the age of 17 years but should not have attained the age of 21 years as on 1st of January 2015. i.e he/she should have been born not before 2nd January, 1994 and not later than 1st January, 1998. Yes, you are eligible for SCRA exam in 2015. Special Class Railway Apprentices Examination is conducted by Union Public Service Examination in the month of October or November. You can get the latest notification about the exam in the official website of UPSC as well as employment news paper. Applicant should have completed 12th examination with physics, chemistry and mathematics as compulsory subjects from a recognized School or equivalent qualification and candidates who are doing final year of 12th can also apply for this examination. Those who have completed Bachelor's degree with Physics and Mathematics may also apply for this examination and there is no percentage bar to apply for SCRA examination. Your age should be 17 to 21 years old for SCRA exam.